Sharon Vardalos, day manager and chief hugger at Kappy’s, sees a lot of lonely people come through the doors of the Morton Grove restaurant–many of them elderly customers as hungry for a warm embrace as they are for food. Kappy’s Restaurant and Pancake House, a family-owned place with a nondescript decor and laminated menus, is typical of the neighborhood diners long known for serving up equal helpings of food and conversation. But academics say such hangouts–mainly restaurants and bars–also provide an important source of emotional support for older adults, who sometimes find themselves isolated and hungry for companionship after a retirement, divorce or spouse’s death. Scholars have used the phrase “third places” to describe these hangouts, which like home and work are venues where people forge social bonds. “Where can you go to get a cheap cup of coffee that comes with a kiss? That’s Kappy’s,” said Mark Rosenbaum, a marketing professor at Northern Illinois University, who was so taken with the restaurant that he used it for an academic paper. Rosenbaum’s recently published study, “Exploring the Social Supportive Role of Third Places in Consumers’ Lives,” examines the significance of neighborhood haunts to the emotional health of the elderly. The study was born of curiosity as he watched his mother’s renaissance after his father died. Rosenbaum has developed what he calls his Relational Theory of Third Places, which suggests that the elderly have as many as 60 percent of their social interactions at places like Kappy’s. The study was published this month in the Journal of Service Research. But as more communities seek to attract national restaurant chains, the cozy mom-and-pop diners and bars are rapidly disappearing from the cultural landscape, said Ray Oldenburg, an urban sociologist and retired professor at the University of West Florida who coined the term “third places” in the late 1980s. When he was studying third places in the late 1980s, the Chicago area had more than 5,000 taverns, Oldenburg said. Today, there are fewer than 2,000, a shift due in part to a society that is growing less and less social. Kappy’s, part of a locally owned restaurant group with another location in Arlington Heights, offers a rare porthole into a vanishing society, where neighbors were friends and people took the time to learn someone’s name. “In a world where parents often live apart from their children and spouses pass away, where do you find emotional support in this world?” Rosenbaum said. Rosenbaum’s mother, Toby, was seeking companionship after her husband died. On a recent weekday morning at Kappy’s, the light of the rising sun streamed through the blinds brightening the brown decor. Most of the tables were filled with regular customers, groups of seniors who come to chat over coffee and pie. Owner George Alpogianis said he knows the names of most of his customers. On a typical day, he kisses the ladies hello and occasionally pulls out a chair for an elderly gentleman with a cane. 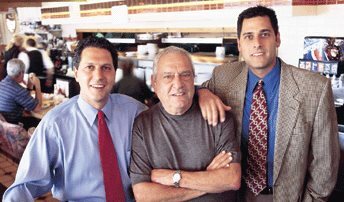 Alpogianis said the bonds with his customers run deep, extending beyond the walls of the restaurant. Waitresses will call and check on patrons who haven’t stopped for a while. Alpogianis has taken food to the homes of sick customers. Rosenbaum’s study found that some customers become disoriented without third places. When Kappy’s was closed one New Year’s Day, a couple was so desperate for company that owner Alpogianis had them over to his home for dinner. “There are a lot of restaurants that have good food and good service. But my father said if you treat everyone as family, that is 85 percent of the battle,” Alpogianis said. Some, described as practical users, come simply for the food. Others seek food and a place to gather with friends. Then there are the people for whom a third place becomes a second home. These regulars, who come as often as five times a week, are people whose need for companionship and sense of well being is inextricably linked to the business. Though business experts have long known that regulars are the lifeblood of local bars and restaurants, Rosenbaum said little was known about the depth of customers’ emotional attachments. These connections, he said, are often more important than the quality of the products or services. That’s what brought Marilyn Keller to Kappy’s after her husband of 48 years died in 2000. The couple had breakfast together there for years, and she wasn’t sure she could go and eat by herself. But when she got to the restaurant, she realized she was not alone. Despite the joy third places bring, they are not without drawbacks. Seeking social support in a commercial setting has costs. And there are negatives for the businesses as well. Offering a second home to consumers who are lonely can alienate other patrons. Rosenbaum’s study found that some younger people refrain from coming to Kappy’s more often because they found the older customers to be depressing. 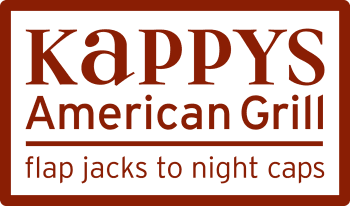 Fortunately for Kappy’s, as many as 60 percent of the customers are regulars who show up every day for a helping of happiness.